By submitting material to RVTTI International Conferences and AfriTVET, all authors of the material agree to indemnify AfriTVET, and its heirs and assigns in business, against any litigation or claims that may arise from the content of or opinions in the material provided. 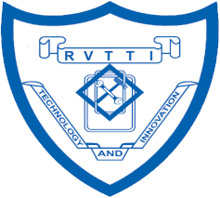 Submission of material to RVTTI International Conferences and AfriTVET also imply all authors’ consent to assignment of the material’s copyright to AfriTVET when that material is accepted for publication in the journal, for the full legal term of copyright and any renewals thereof throughout the world in all formats and in any medium of communication. If the corresponding author is no longer active, any of the other authors may become the corresponding author and they will accordingly be bound by these terms and conditions. (Note: On acceptance for publication, an agreement specifying the terms noted here and above will be sent to the corresponding author for signature by the corresponding author who is duly authorized to sign this agreement on behalf of all authors and contributors. No printers proof will be sent to the author. The copy provided by the author on acceptance is the version used for typesetting. The publisher reserves the right to make editing corrections). 3. The text adheres to the stylistic and bibliographic requirements outlined in the Author Guidelines, which is found in the guidelines above. Prepared by: Agnes Rono, Managing Editor AfriTVET Journal www.afritvet.org or www.afritvetjournal.org Contributions must be original or reviewed articles but not previously submitted elsewhere for publication. Contributions should add to knowledge and understanding the guided thematic areas of the international conferences from which papers presented are published in the journals. All papers are expected to be analytical, with reports of studies interpreted both in terms of the theoretical literature and in terms of contemporary issues as addressed by the relevant RVTTI Annual International Conferences themes and by Africa Journal of Technical and Vocational Education and Training (AfriTVET) ISSN 2518-2722 (online) and ISSN 2413-984X (Print). Articles are submitted to the AfriTVET Journal hosted in www.afritvetjournal.org or www.afritvet.org or RVTTI website. Papers submitted to Africa Journal of Technical and Vocational Education and Training will be screened for plagiarism using plagiarism detection tools such as Grammarly,TurnitIn and Copyscape. Any submission that exceeds fair use or fails to appropriately cite sources will be rejected. Authors are advised to review their works and ensure they cite all sources used before submission to avoid rejection. All articles submitted to the secretariat of the journals are subject to the conventional double-blind refereeing system. Manuscripts should be saved as a Microsoft Word. These should contain: title of the manuscript, key words, article text, references, figures, and tables in that order, as one document. A 250-350-word abstract in one continuous paragraph is required for the papers to be published. The abstracts and full papers should contain: Title of the paper; Name(s) of author; Email and Cell Phone Number. Abstracts should have words between 250 and 300, be in block format; Times New Roman 12; Single spacing; At most 5 key words. Full papers should have words between 3000 and 3500. Times New Roman 12; Single line spacing. All correspondence will be sent to the first listed author. Please list all authors in the order they are to appear on the title page. The Journals use the APA (American Psychological Association) Formatting and Style Guide 6th edition for the formatting of submissions. For more information, Download Author Guidelines and APA 6th Ed. 2nd Print. Guidelines or refer to www.rvti.ac.ke or please consult the Publication Manual of the American Psychological Association, 6th edition, second printing. The official spelling is UK, but American spellings are also acceptable provided that they are used consistently. Translation of articles from other languages into English is encouraged and should be provided by professional translators. The Editors reserve the right to make editorial and literary corrections. Photographs: Are not encouraged because of the difficulty in printing quality and must be restricted to only one. Electronic black and white (grayscale) TIFFs of high resolution (300 dpi minimum) are preferred, around 300 KB in size. Low resolution (i.e. under 150 dpi) JPEGs or GIFs are NOT suitable for printing. Headings and Sections: The use of sub-headings is recommended, but such sub-headings should not be numbered. The first level of sub-heading should be bold capitals; the second, bold lower case, sentence case; and the third, italicized, sentence case. MAIN HEADINGS: (all capital letters; centered) are first and should be used to identify the (normal) three or four major sections of the manuscript. Second-level headings: (title-style; flush left; nothing else on the line) are next. Third-level headings: (first letter of first word capitalized; indented and italicized) are next. Data and Sample Measures Independent Variable References: References in the text should give the author's name and year of publication (with page number if necessary) according to the APA with minimal capitalization. References should be formatted as per examples in our websites www.afritvetjournal.org or www.afritvet.org or www.rvti.ac.ke. Prepared by: Agnes Rono, Managing Editor, AfriTVET Journal. This resource is revised according to the 6th edition, second printing of the APA manual and offers examples for the general format of APA research papers, in-text citations, endnotes/footnotes, and the reference page. For more information, please consult the Publication Manual of the American Psychological Association, (6th ed., 2nd printing). Necessity: Visual material such as tables and figures can be used quickly and efficiently to present a large amount of information to an audience, but visuals must be used to assist communication, not to use up space, or disguise marginally significant results behind a screen of complicated statistics. Ask yourself this question first: Is the table or figure necessary? For example, it is better to present simple descriptive statistics in the text, not in a table. Relation of Tables or Figures and Text: Because tables and figures supplement the text, refer in the text to all tables and figures used and explain what the reader should look for when using the table or figure. Focus only on the important point the reader should draw from them, and leave the details for the reader to examine on her own. Documentation: If you are using figures, tables and/or data from other sources, be sure to gather all the information you will need to properly document your sources. Integrity and Independence: Each table and figure must be intelligible without reference to the text, so be sure to include an explanation of every abbreviation (except the standard statistical symbols and abbreviations). Organization, Consistency, and Coherence: Number all tables sequentially as you refer to them in the text (Table 1, Table 2, etc. ), likewise for figures (Figure 1, Figure 2, etc.). Abbreviations, terminology, probability level values must be consistent across tables and figures in the same article. Likewise, formats, titles, and headings must be consistent. Do not repeat the same data in different tables. Data in a table that would require only two or fewer columns and rows should be presented in the text. More complex data is better presented in tabular format. In order for quantitative data to be presented clearly and efficiently, it must be arranged logically, e.g. data to be compared must be presented next to one another (before / after, young / old, male / female, etc. ), and statistical information (means, standard deviations, N values) must be presented in separate parts of the table. If possible, use canonical forms (such as ANOVA, regression, or correlation) to communicate your data effectively. Analysis of Variance (ANOVA) Tables: The conventional format for an ANOVA table is to list the source in the stub column, then the degrees of freedom (df) and the F ratios. Give the between-subject variables and error first, then within-subject and any error. Mean square errors must be enclosed in parentheses. Provide a general note to the table to explain what those values mean (see example). Use asterisks to identify statistically significant F ratios, and provide a probability footnote. Table 3 ANOVA Table Regression: Conventional reporting of regression analysis follows two formats. If the study is purely applied, list only the raw or unstandardized coefficients (B). If the study is purely theoretical, list only the standardized coefficients (beta). If the study was neither purely applied nor theoretical, then list both standardized and unstandardized coefficents. Specify the type of analysis, either hierarchical or simultaneous, and provide the increments of change if you used hierarchical regression. Probability notes provide the reader with the results of the texts for statistical significance. Asterisks indicate the values for which the null hypothesis is rejected, with the probability (p value) specified in the probability note. Such notes are required only when relevant to the data in the table. Consistently use the same number of asterisks for a given alpha level throughout your paper. Sample Table Notes If you need to distinguish between two-tailed and one-tailed tests in the same table, use asterisks for two-tailed p values and an alternate symbol (such as daggers) for one-tailed p values. Is the figure simple, clean, and free of extraneous detail? Are the data plotted accurately? Is the grid scale correctly proportioned? Is the lettering large and dark enough to read? Is the lettering compatible in size with the rest of the figure? Are parallel figures or equally important figures prepared according to the same scale? Are all abbreviations and symbols explained in a figure legend or figure caption? Are the symbols, abbreviations, and terminology in the figure consistent with those in the figure caption? In other figures? In the text? Are the figures numbered consecutively with Arabic numerals? Are all figures mentioned in the text? As tables supplement the text, so should each figure. Graphs are good at quickly conveying relationships like comparison and distribution. The most common forms of graphs are scatter plots, line graphs, bar graphs, pictorial graphs, and pie graphs. For more details and specifics on what kind of information, relations, and meaning can be expressed with the different types of graphs, consult your textbook on quantitative analysis. Spreadsheet programs, such as Microsoft Excel, can generate the graphs for you. Scatter plots are composed of individual dots that represent the value of a specific event on the scale established by the two variables plotted on the x- and y-axes. When the dots cluster together, a correlation is implied. On the other hand, when the dots are scattered randomly, no correlation is seen. Bar graphs come in three main types: 1) solid vertical or horizontal bars, 2) multiple bar graphs, and 3) sliding bars. In solid bar graphs, the independent variable is categorical, and each bar represents one kind of datum, e. g. a bar graph of monthly expenditures. A multiple bar graph can show more complex information than a simple bar graph, e. g. monthly expenditures divided into categories (housing, food, transportation, etc.). In sliding bar graphs, the bars are divided by a horizontal line which serves as the baseline, enabling the representation of data above and below a specific reference point, e. g. high and low temperatures v. average temperature. Pictorial graphs can be used to show quantitative differences between groups. Pictorial graphs can be very deceptive: if the height of an image is doubled, its area is quadrupled. Therefore, great care should be taken that images representing the same values must be the same size. Circle (pie) graphs are used to represent percentages and proportions. For the sake of readability, no more than five variables should be compared in a single pie graph. The segments should be ordered very strictly: beginning at twelve o’clock, order them from the largest to the smallest, and shade the segments from dark to light (i.e., the largest segment should be the darkest). Lines and dots can be used for shading in black and white documents. Circle (or Pie) Graph Charts are used to represent the components of larger objects or groups (e. g. a tribal hierarchy), the steps in a process (as in a flow-chart), or the schematics of an object (the components of a cell phone). Chart Drawings and photographs can be used to communicate very specific information about a subject. Thanks to software, both are now highly manipulable. For the sake of readability and simplicity, line drawings should be used, and photographs should have the highest possible contrast between the background and focal point. Cropping, cutting out extraneous detail, can be very beneficial for a photograph. Use software like GraphicConverter or Photoshop to convert color photographs to black and white before printing on a laser printer. Otherwise most printers will produce an image with poor contrast. Figure 1. How to create figures in APA style. This figure illustrates effective elements in APA style figures. Captions serve as a brief, but complete, explanation and as a title. For example, “Figure 4. Population” is insufficient, whereas “Figure 4. Population of Grand Rapids, MI by race (1980)” is better. If the figure has a title in the image, crop it. Graphs should always include a legend that explains the symbols, abbreviations, and terminology used in the figure. These terms must be consistent with those used in the text and in other figures. The lettering in the legend should be of the same type and size as that used in the figure. Prepared by: Agnes Rono, Managing Editor, AfriTVET Journal Your reference list should appear at the end of your paper. It provides the information necessary for a reader to locate and retrieve any source you cite in the body of the paper. Each source you cite in the paper must appear in your reference list; likewise, each entry in the reference list must be cited in your text. When referring to books, chapters, articles, or Web pages, capitalize only the first letter of the first word of a title and subtitle, the first word after a colon or a dash in the title, and proper nouns. Do not capitalize the first letter of the second word in a hyphenated compound word. Please note: While the APA manual provides many examples of how to cite common types of sources, it does not provide rules on how to cite all types of sources. Therefore, if you have a source that APA does not include, APA suggests that you find the example that is most similar to your source and use that format. For more information, see page 193 of the Publication Manual of the American Psychological Association, (6th ed., 2nd printing). List by last names and initials; commas separate author names. After the sixth author's name, use an ellipses in place of the author names. Then provide the final author name. There should be no more than seven names. List the Organization Name and Year of Publication.